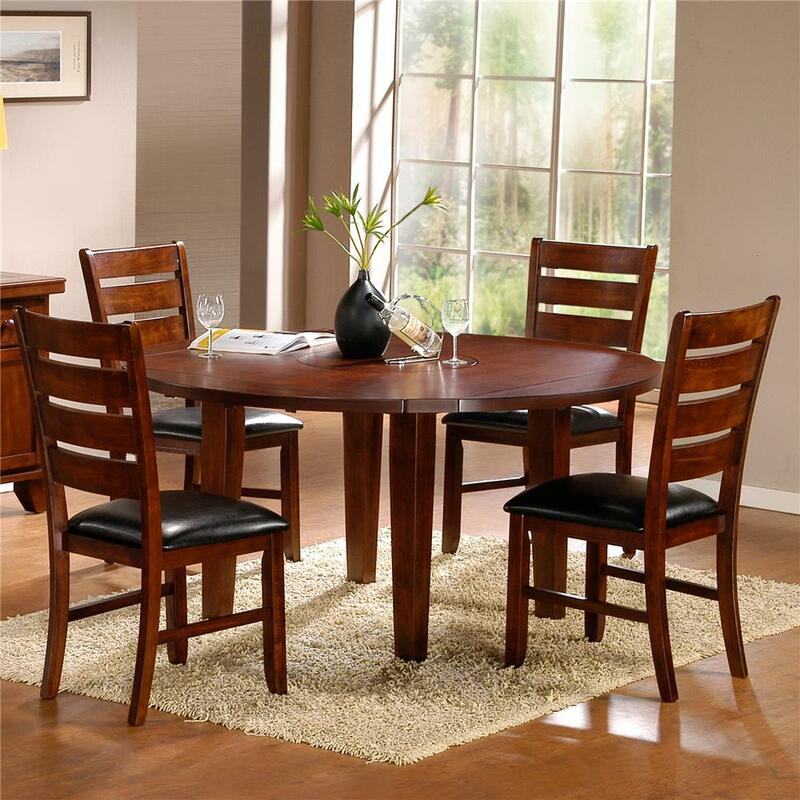 This five piece dining set illustrates a casual style with class. The round dining table features four drop down leaves on the sides, allowing a versatile look. The circular wood inset in the middle adds bold detail, while the dark wood and tapered legs set an elegant touch. 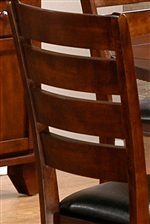 The dark upholstered seat cushion of the chairs and the wide ladder seat back add detail as well as comfort. These also feature side stretchers for delicate detail. Invite your family for dinner or games on this alluring table set that will look great in any dining room. The Ameillia Five Piece Dining Set with Round Table by Homelegance at Michael's Furniture Warehouse in the San Fernando & Los Angeles area. Product availability may vary. Contact us for the most current availability on this product. Handles & Hardware Wood finish hardware. Case Detail Straight clean edges with slightly tapered legs. The Ameillia collection of various dining pieces and table sets illustrates a casual style with class. It includes different pieces to complete your perfect home and sets of different sizes to accommodate your kitchen or dining room space. 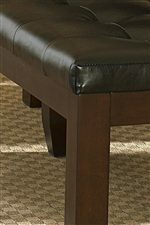 Dark oak finish, upholstered seat cushions, ladder backs, and tapered legs make the pieces from this collection bold yet elegant. Complete your home with this versatile collection that is guaranteed to look amazing in any home with its simple style and grace. The Ameillia collection is a great option if you are looking for Casual furniture in the San Fernando & Los Angeles area. Browse other items in the Ameillia collection from Michael's Furniture Warehouse in the San Fernando & Los Angeles area.